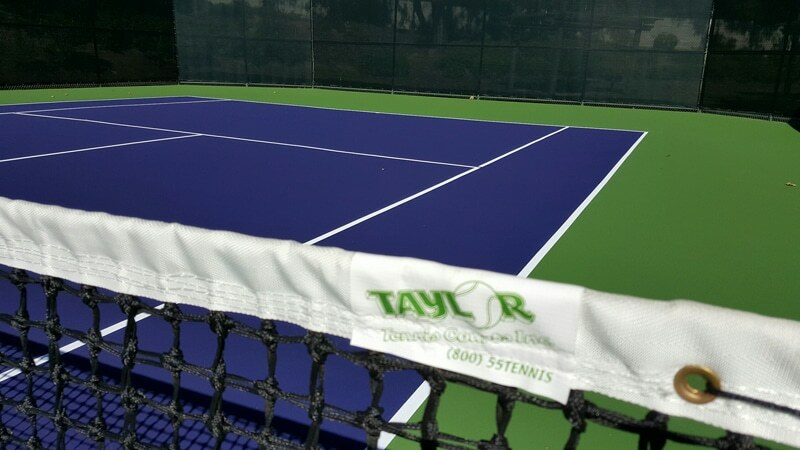 Taylor Tennis Courts have been developing and constructing some of the finest tennis courts in Southern California for more than 35 years. 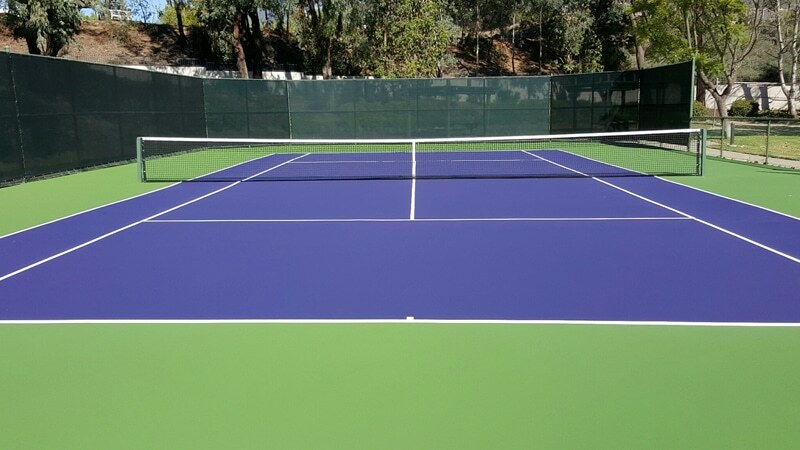 We have completed tennis court construction projects for private residences, homeowner associations, tennis and sports clubs, and municipalities. We take great pride in the work we do and the customer service we provide. It is for these reasons that over 50% of our business comes from referrals and repeat customers. When considering if you want to add a tennis court, the first question you need to ask is, “do I have enough space for a tennis court?” The minimum space required for a regulation doubles court is 60’ by 120’. You then need to consider if you can meet the ‘offset’ requirements (space or distance from your property line as required by zoning regulations or HOA regulations). If you are not sure of the zoning requirements in your city, just give us a call. We will be happy to help you with any permitting questions. While you have us on the phone, set an appointment for us to come out and talk to you about your project. 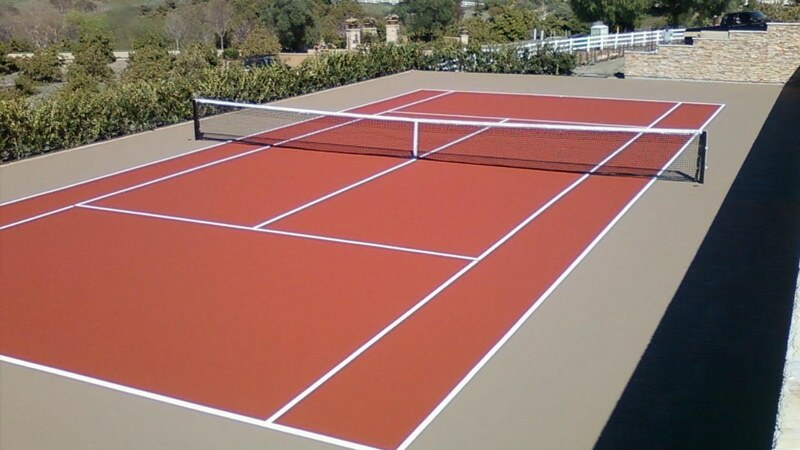 We can take measurements and prepare a Free Quote for your new tennis court construction project. 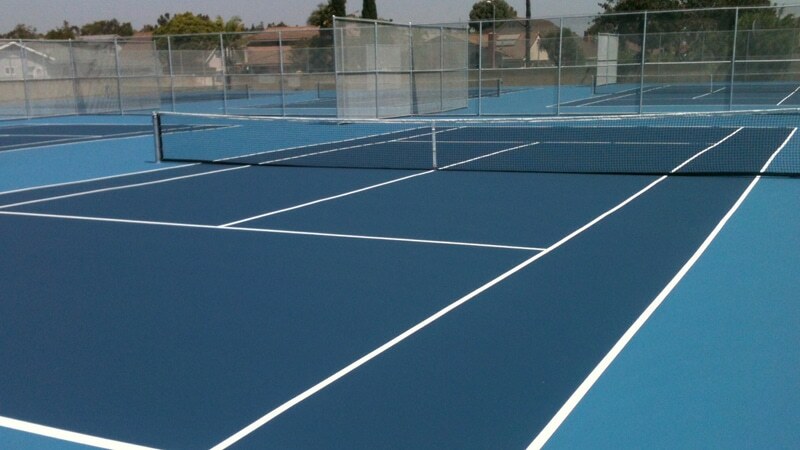 At Taylor Tennis Courts, we have high standards for quality tennis court construction. 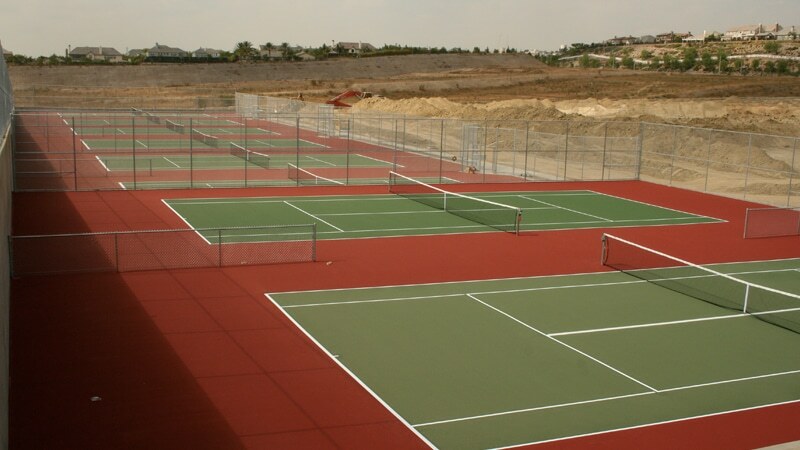 In your construction project, there will be several stages in the development of your tennis court. In our bid, we will detail all of them for you. As the property owner, it begins with “plans, permits, soils surveys and engineered calculations” which you as the property owner can provide. We can do the work for these, and provide receipts for which you will be responsible. We do not mark up or make any profit on plans, permits, soil surveys and engineering. As the property owner, you will also need to provide access to the tennis court construction site for equipment and trucks. In some cases that may involve working with and contacting your neighbors. When the court is completed, landscaping around the court is also part of your responsibility. Once plans have been permitted, surveys and engineering calculated and access obtained, we can begin! The next step is to prepare the ground for the 60’ X 120’ slab. The typical preparation includes 4” of base material over a visquene vapor barrier. We next pour 5” depth of 3,000 psi concrete, reinforced with post tension cables. The edges are poured to 9” depth around the perimeter. The concrete then receives a light broom finish across the entire court surface. After the concrete has cured, we acid etch the concrete surface and then apply an acrylic bond coat. The next step is applying three coats of a Plexipave acrylic playing surface system. We will consult with you about the playing ‘speed’ of the court. 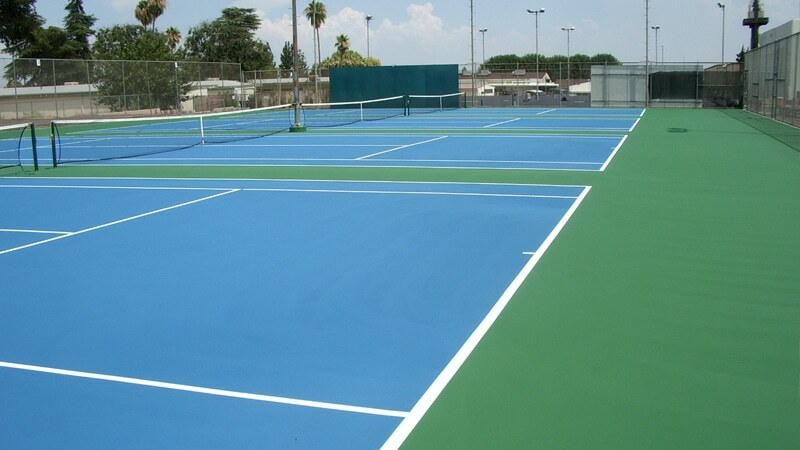 Most residential courts are a medium to slow playing surface. We accomplish this by adding 60 silica sand to the playing surface system. The color is selected by you the property owner. Once the surface is completed, the court will be stripped per U.S.T.A. dimensions. Next, we add the nets and posts with brass winding gears and top-grade nets. After this we add a vinyl- coated chain link fence, typically 10’ high, above the slab surface. You can choose either a green or black vinyl color for the fencing. And then the last step, the wiring for lights and switches are installed for your new tennis court. Congratulations! – you are now the proud owner of a tennis court built by Taylor Tennis Courts! You can be proud of its quality from the ground up. Expect to have countless hours of recreation and enjoyment.